I recently joined in the Aussie Winter Mug Rug Swap which I found on instagram. It’s been ages since I participated in a swap but I was ready to stretch some creative muscle and work within someone else’s preferred style. It always makes you look at your project and your stash in a different light. 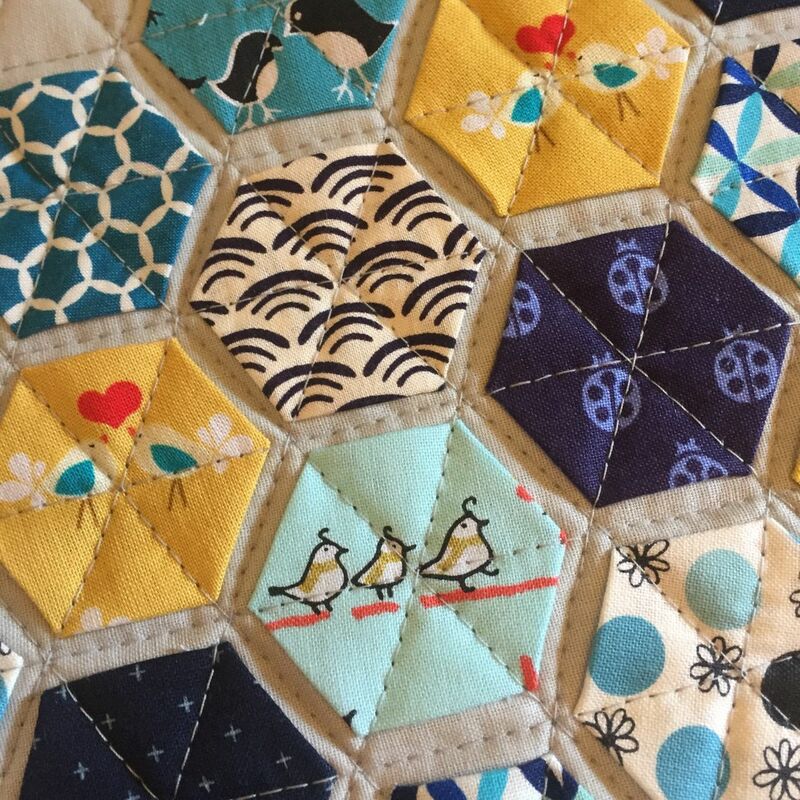 My partner’s information shared that she loved blues, greens and birds. I had two cute bird prints that worked nicely, but I felt the colours didn’t really invite green to the party so I stuck with blues and the mustard yellow as the only other choice. 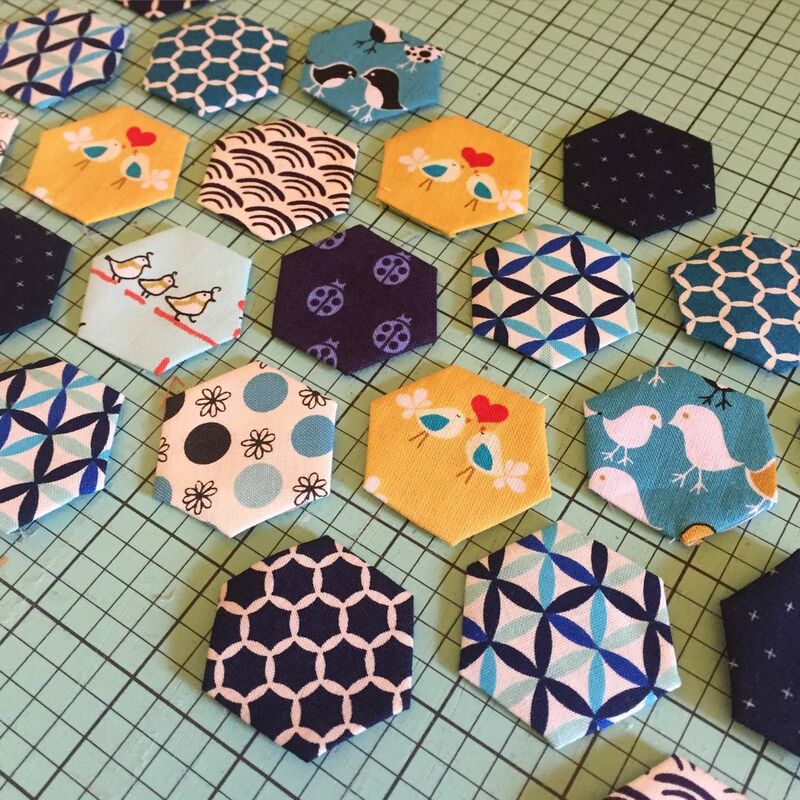 The bird prints were a perfect size for fussy cutting so I decided to go with a hexie mug rug, similar to this one and this one that I’ve made before. The trickiest part was deciding on a layout and evenly spacing those mustard yellow birds throughout the project to give it some balance. 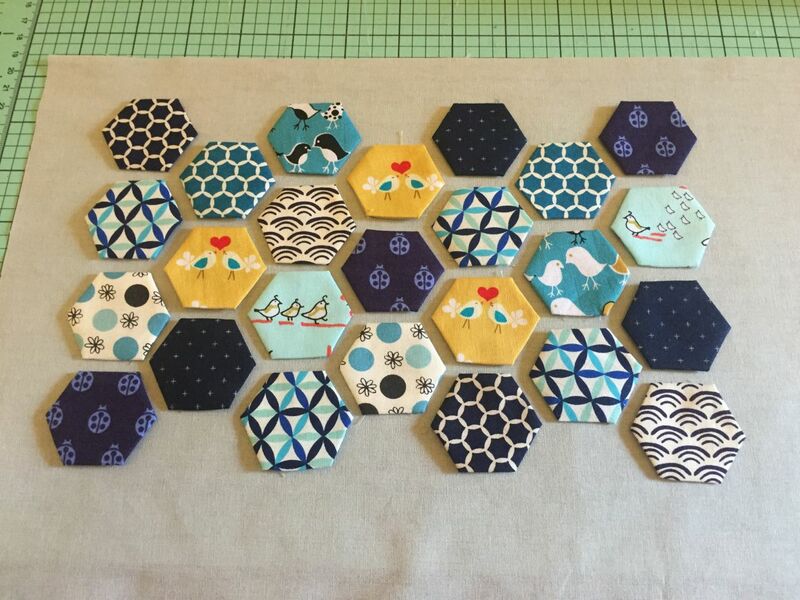 Before I stitch the hexies down, I always glue baste them into place. I use a sewline glue pen – it’s such a great tool! I highly recommend getting one – it’s really good for tricky projects like working with small zippers or anything where it’s too awkward to use pins. 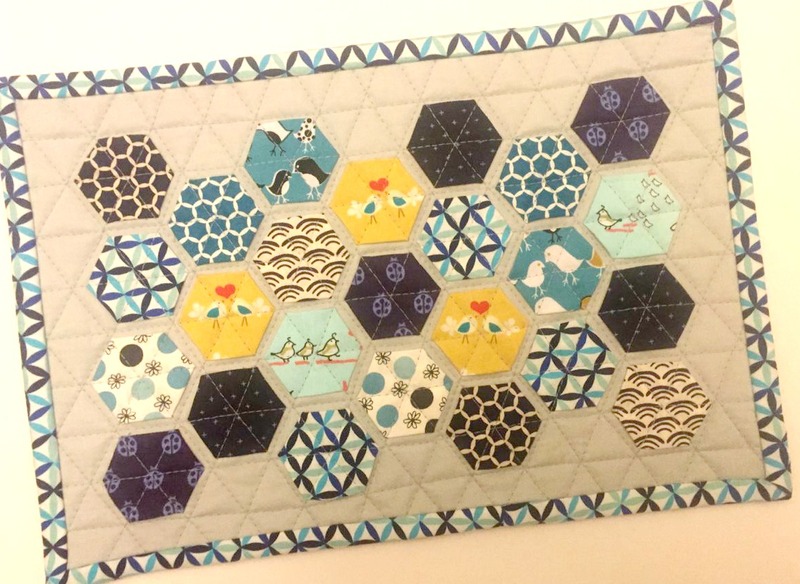 To quilt the mug rug, I sew through each corner of the hexagon. 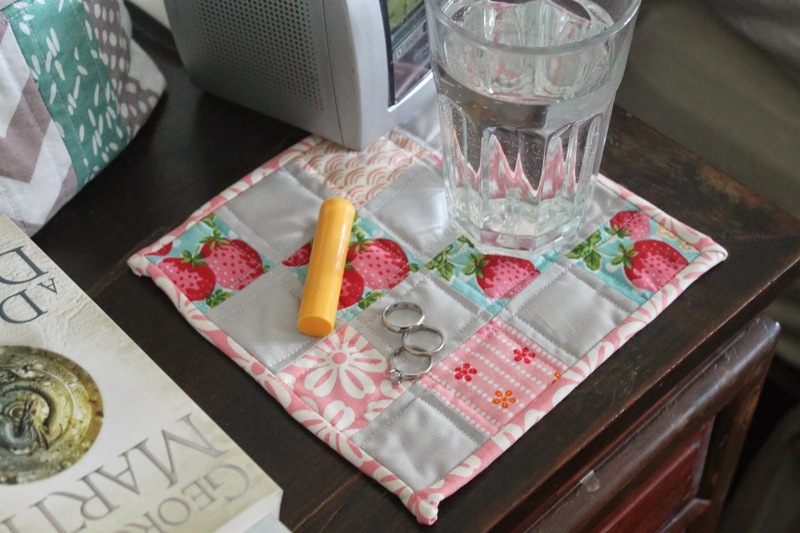 It’s very simple and the quilting looks great when it’s done. Excuse the terrible picture of the final product – I was in a hurry to package it up and send it on it’s way! It should have arrived by now, or hopefully early this week. I hope my partner likes it! That is sooooo beautiful, Ros!!! 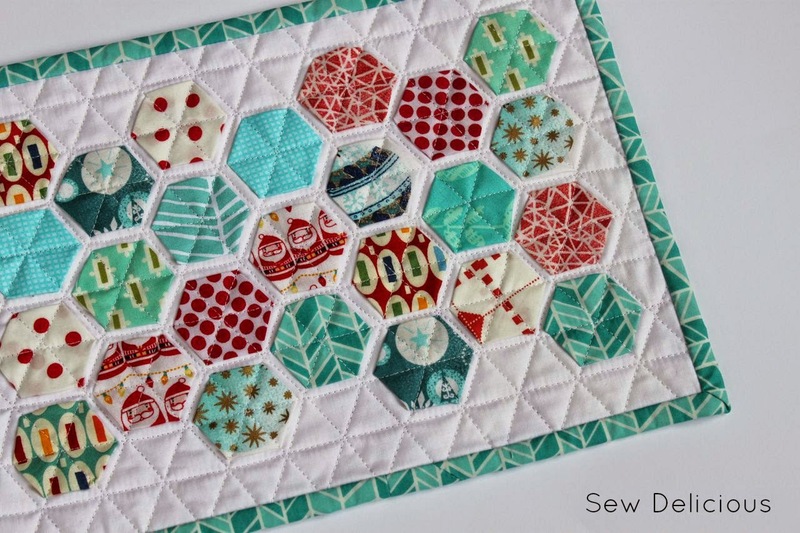 I have seen other people making all these beautiful projects with hexies and I have always wondered if the little edges that go underneath ever get unravelled with the item being washed and all. 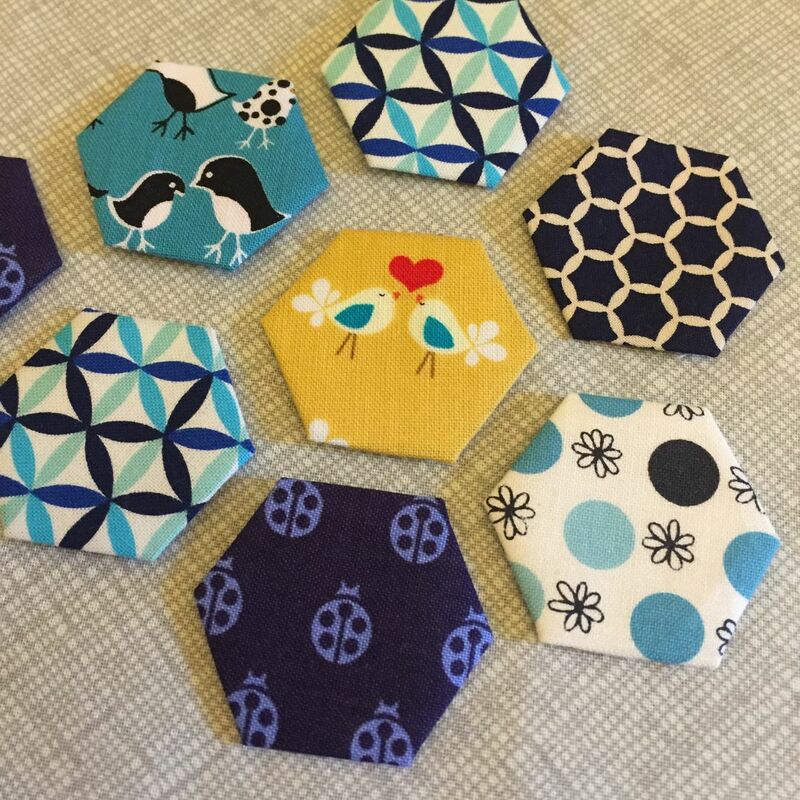 Or are the hexies also sewed onto the backgrounf fabric before you sewed through their corners? Please forgive me if the question sounds (or truly is) silly…..